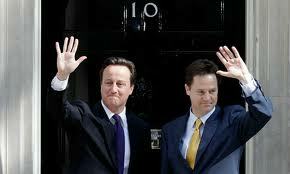 Joining the Coalition Government has damaged the Lib Dems appeal for protest votes. The last week has seen the authority of the three main political parties battered from all directions. An incompetently spun budget, aimed mainly at the rich, coupled with the Cash for Cameron, granny-tax and pasty-gate media frenzy has fatally damaged Cameron’s project to detoxify the Conservative brand. The right-wing press has started to join the dots in painting a narrative of an out of touch elite and the myth of the sure-footed Tories has been finally punctured. Since the final days of Gordon Brown’s government, the Opposition has tried fruitlessly to make the rich versus poor argument stick. The barely disguised glee emanating from Labour’s high command at these own-goals was short lived however, when the safe byelection seat of Bradford West was transformed into a 10,000 majority for George Galloway and the Respect Party. Overnight, the constituency changed from a ready-made photo call into a stinging rebuke to Ed Miliband’s leadership. I have a lot of sympathy with the view that this is a very particular local context, with political pressures in the constituency that won’t be replicated nationally. All the same, expectations on Miliband at the local and London Mayoral elections have steepened again. 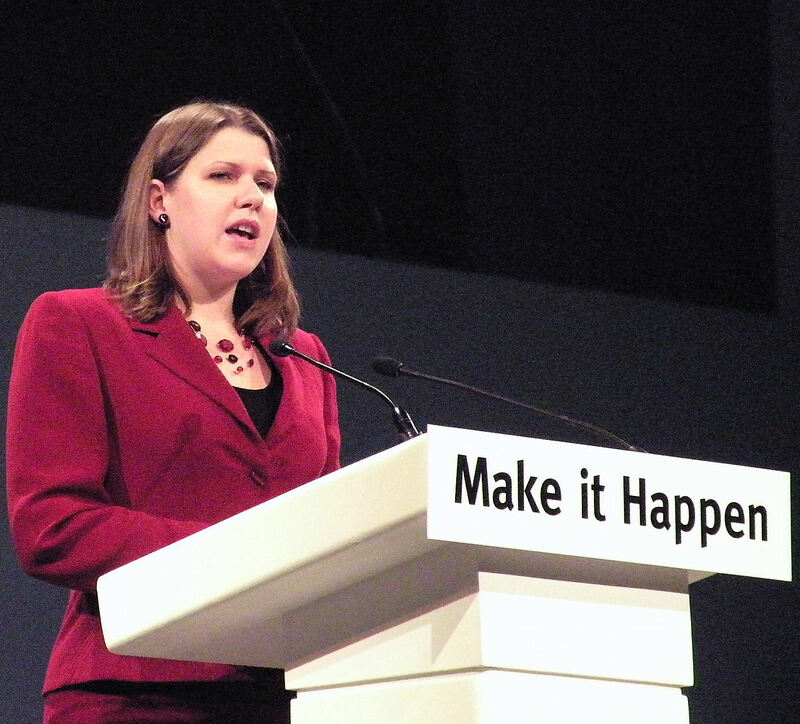 Jo Swinson - open minded about new law to allow the Government to access your emails and social media accounts. Yet in a week where the failures of these two parties have dominated, I wanted to talk about the Liberal Democrats and what their current predicament says to the Greens. Almost overlooked in this week’s media scrum has been the fact that the Liberal Democrats lost their deposit in Bradford West. This election has been touted as the ultimate protest vote against the establishment, which has traditionally favoured them. As a junior partner in the government and a growing perception that their left-wing credentials are in tatters, they have slunk away from this contest humiliated. If voters needed their political journey underlined, they could listen to Jo Swinson MP on the BBC Westminster Hour refusing to be drawn on the civil liberties implications of government plans to monitor emails and social media. It is of no surprise that their vote hovers at a low level and protest votes migrate to even smaller parties. On the face of it, this could work in the favour of the Green Party. Being the recipient of protest votes in an election has a great deal of appeal to many within the Green Party’s membership and has suited the Liberal Democrats well in the last twenty-five years or so. It allows you to be nimble politically, as when not holding power it is harder for others to point to contradictions between rhetoric and reality. Opponents and the media tend to either ignore you or only superficially question your political platform. The problem for me is that this level of support can only get you so far. Protest vote parties always fail to get more than 15 per cent in an election, as they soon hit a wall of credibility. The Green Party has recently scented the difficulty with this strategy with the local media onslaught in Brighton and Hove around our difficult budget-setting process. Colleagues there are currently embarking on a tough learning curve in the realities of holding power. I understand that as a small party with few elected representatives, it is tempting to cling to the comfortable certainties of opposition and protest, as these can reap us quick wins. In the longer term however, we need to feel and project a confidence that we are a party capable of taking the reigns of power, transforming and uniting the country. Until we do, the public will always sense that we are playing at the margins. A simple point perhaps, but one that I fear we forget too often. We won’t attract the quality of members capable of making our programme a reality and contesting roles within the party or on the ballot paper. One of my readers recently agreed with a blog post where I argued for a sharpening of the Greens economic policies, arguing that we should be fiercer. I completely agree. Taking yourself seriously doesn’t have to mean being any less radical or visionary, but it does mean having the courage to challenge the party to expect more of itself and to confront our deficiencies head on. With unemployment rising, living standards dropping and climate change ignored, I know that indulging in the politics of protest isn’t good enough. Does the Green Party need whipping? It seems all parties have a bedrock vote,below which they are unlikely to fall. In 1983 Labour (26%) and in 1997 the Tories (31%) show that even when a party is in free fall there are those who will turnout. Protest voters by definition are not strongly aligned to a party, and therefore likely to be politically volatile.. There’s no quick fix,and as you say simply becoming a repository for protest votes is not a viable long term strategy. How a party turns sympathisers into followers and members is complex,but extending ‘the base’ requires selling values as well as policies. Those who identify with the largest two parties know what values to expect,it’s when they depart from those values that core voters are lost. Of course ‘selling values’ is not easy, especially for small parties who are either denied media access or faced with a hostile reception in the media. However this route is better than gathering the support of those who are here today,gone tomorrow. I think you are spot on Paul. Imparting our values to the electorate is a long process, not likely to be solved in a single blog post. 😉 We seem to agree that nurturing the larger group of ideologically motivated voters is the best way forward, rather than running after a bandwagon and grabbing for disenchanted voters. In sidestepping the hostile or indifferent media, I have been noticing recently that Green activists are becoming increasingly more visible and numerous on social media sites, Twitter especially. Viral messaging using these methods could be explored to break through our policies to a wider range of warmer audiences, especially if our activists could work collectively around key moments. would agree with most of what you’ve posted here and see it as vital to move beyond the electoral landscape we have today. Reengaging with the millions of voters other parties have lost since 1997, as well as the younger generation, is vital both to addressing the deficit in democracy we face today and ensuring Green gains aren’t as vulnerable to swings to other parties, as was the effect of the 2010 GE. I’m curious what you mean when you refere to the ‘politics of protest’ though. Greens have engaged effectively with groups associated with protest such as UK Uncut, PSC and CoR. To me it is vital that our politics are rooted in action as well as stronger policies. Translating our policies into action outside the electoral arena and working effectively with the broader left is essential in my book and something that we should stay true to. Appreciate your comments Jack. As someone with quite a passionate commitment and background in community activism, I really agree that we need to build our electoral appeal through dialogue and solidarity with those trying to change public debate through protest and lobbying of decision-makers. By politics of protest, I meant not depending on the quick-win attitude of seeing our opponents struggle on an issue and then telling the electorate what we think we want them to hear, as the Liberal Democrats have been known to do. By taking the easy route of being a safe space for those protest votes, without really wrestling ourselves with the complexities of the political issue at hand, we risk not having the fairest debate with the public and risk departing from our core values and losing longer term support, the point that Paul ably made above. Working with those organisations like UK Uncut who campaign on issues central to our green values is essential for nurturing the next generation of activists and politicians.